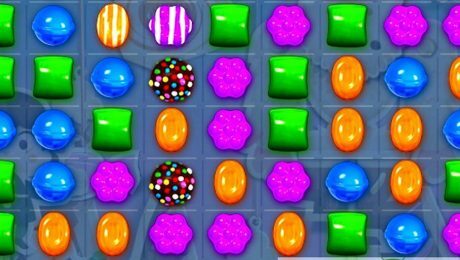 Candy Crush: Useful tips, tricks, and cheats! Matching three candies is easy. You’re working on a 3×3 grid, and your brain will easily learn the pattern combinations that can make a three-candy match. Matching four and five candies is more difficult. I won’t go into the math here, but learn what you’re looking for. After each move you should stop and browse for any moves you may have missed. A lot of the times, you will find a special candy combinations you didn’t even see. 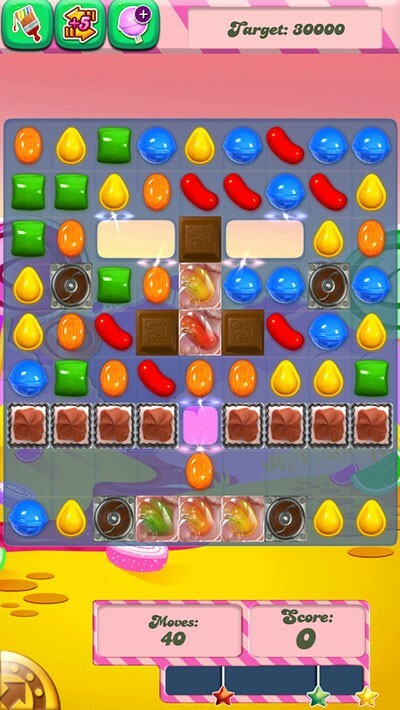 Crushing candies on the bottom is better than crushing candies at the top, because candies drop down, creating the potential for a cascade effect that essentially gives you free moves. 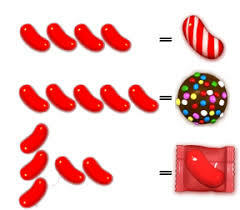 Candy is striped in the same direction as the final candy moved to complete the previous formation. If you move a candy horizontally, it will make a horizontal stripe, which will then explode horizontally as well. Each time you start a new level, look at the hardest element on that level and think out how you can defeat it first before you use up lives. Also, pause between moves. You may have a sprinkle and not even realize it if you’re watching the candies from a lesser move get crushed. When you enter a level and you are unsatisfied with the layout, there is actually a way to reshuffle the board without losing any lives. Before making any moves on a level, you can exit out of the level and re-enter the level and the board will have been shuffled. A match 4 or match 5 at the beginning of the level can be all it takes to win sometimes. 6. Clear jellies on the edge! When getting rid of jellies, only worry about the edges, especially the corners and bottoms. These jellies have the least number of combinations which can eliminate them, so will be the hardest to get rid of. Take a moment each move to see if you can get rid of edge jellies and, if not, go after an easier one. If you want to get up the ladder quickly and earn more points, always go after candies that mean more harm to you. In this case, start with eliminating the lower placed bombs and then go after the chocolates. Complete your mission by eliminating the blocks. In this manner, you will be in a position to preserve your time and earn more points. It is helpful to know that if you have eaten a piece of chocolate in one round, then it will not regenerate in the next round. This really is helpful since it keeps the chocolate from coming back again and again. So make sure to try to destroy the chocolate each round that way it won’t regenerate in the following round. Unless you are playing in a later level, then I’m sure you already know that there is a chocolate maker that causes the chocolate to come back at an alarming rate. It is always daunting when you see that you are starting a level with ingredients on the far right or far left of the screen. Of course, you can always restart the level with the previously mentioned tip of exiting the level before beginning. 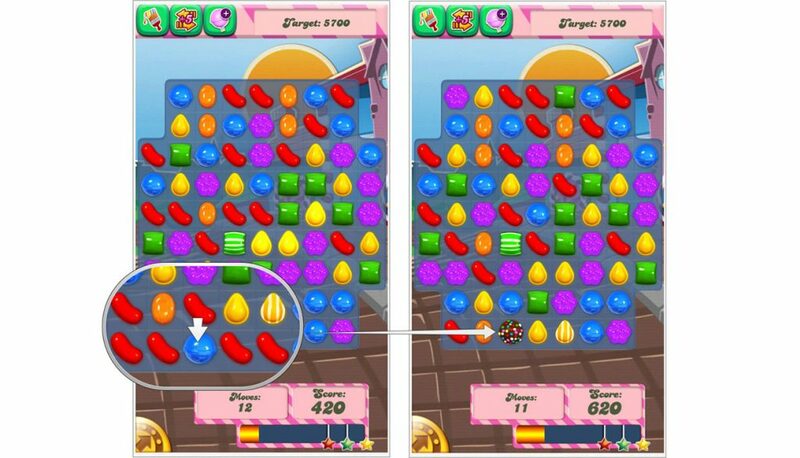 But you can also attempt to move the ingredients to the middle by crushing candies. Just try to never move an ingredient to a square with no exit in sight. This will only make matters even more difficult for you. 10. Cheat time for extra lives! If you don’t use Facebook, there’s still a cheat to get you extra lives. Turn the clock on your mobile device ahead 2 hours, and then keep playing to your hearts content. Go to Settings > General> Date & Time > Set Time Off > Set Date and Time > Add two hours forward and get 4 more lives in your game. You will eventually have to pay back the time, but schedule that for when you’re sleeping anyway. Remember to change the time from PM to AM if you are going past midnight. The typical PUBG Mobile game mode is a free-for-all where 100 naked and hopeless contenders are dropped upon an island littered with gear and weapons to gleefully slaughter each other until there’s just one left standing. To put the pressure on, the game area shrinks periodically, automatically disposing of players left outside the play zone. Yes, just like in the movie. It’s not easy getting to grips with a new game and trying to survive when everyone’s out to get you, but keep these tips in mind to help you get a good start and get an edge on your rivals. 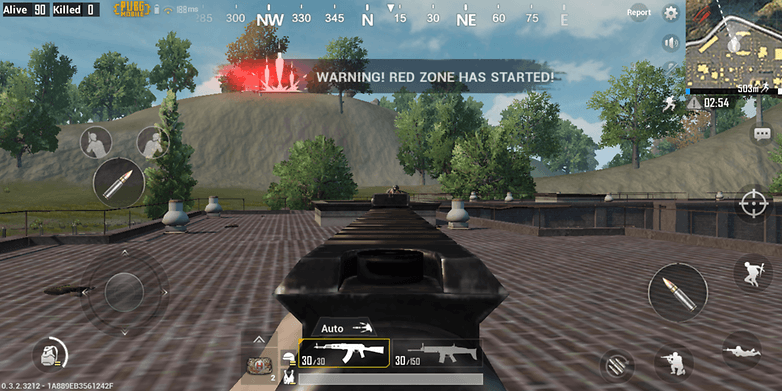 In PUBG Mobile, your first strategic moves start before you pick up a gun or even hit the ground. First, you have to choose a good place to drop. Everyone else also wants loot and is trying to kill you. Quite a dilemma. You’ll want to aim to land next to buildings to grab the loot, but avoid the most popular ones that might be swarming with enemies. Maybe some hotshots will want to dive straight into the crowd, pick up the first weapon and just start gunning the slowpokes, but that’s not you reading this guide yet, rookie. Instead, get a good start by aiming for a building that other players aren’t going for. There’s going to be battle, and you don’t want to be the loser who brings their firsts to a gunfight. Your first priority upon landing should be to loot. Of course, you followed our first tip and have dropped next to a building away from enemies, right? Great. Now get indoors and loot up. A weapon is always first priority. Next is body armor and healing items to keep you alive through the action. Once you have a choice of weapons and other items, you can start thinking about which weapons work best for you as you explore the area and take down enemies. But first, just pick up everything. 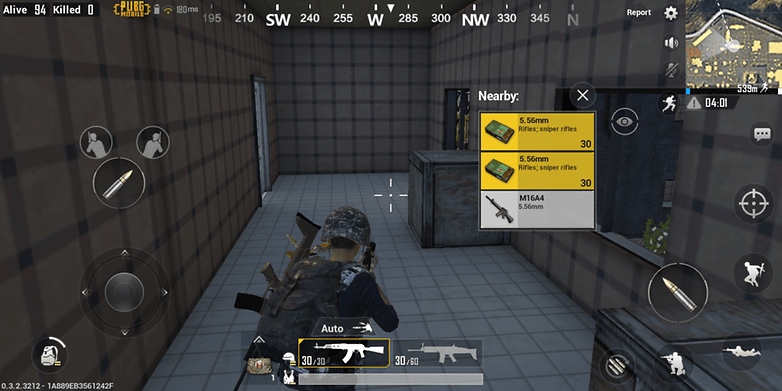 PUBG Mobile has a handy auto-loot to help get this done fast. 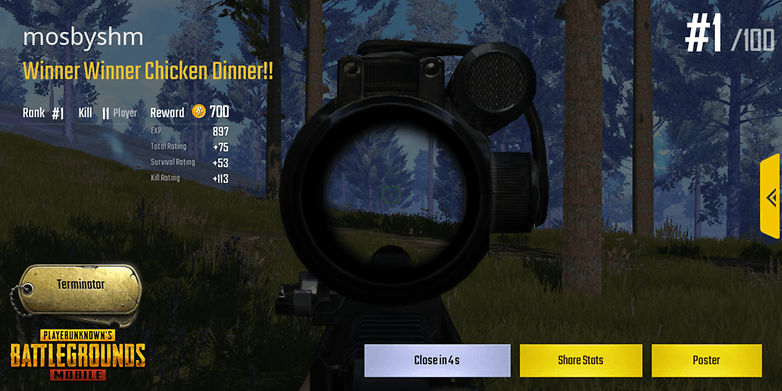 Playing action games on a touchscreen can be awkward but PUBG Mobile has a few convenient auto functions to make it easier. Don’t make life hard for yourself. Make use of them. Auto sprint: the icon appears when you’re running at full speed. Simply hover over it with your finger and then let go to continue running without needing to hold down. Free look: A handy feature that rival Fortnite lacks, you can drag around the small eye icon just below the map in order to look around and keep an eye on your surroundings. This works while running so you can look around you without changing your direction. Auto loot: Your avatar will simply pick up essential items, like rare scopes, weapons, armor, and more without you having to do anything. The game is pretty smart about this, though when your inventory is cluttered, you might want to check that it is following your preferences. Those of you used to PUBG on PC or Xbox might be used to a cautious style where you focus more on hiding, self-preservation and careful precision. That softly-softly approach isn’t going to work on mobile, son. Controls are less precise, accuracy is more difficult. This means that you’re less likely to get sniped by more calculating players, and often, you can get shot at a few times before your enemy lands a hit on you. When you hear gunfire, instead of immediately panicking and running for cover, try and turn the tables. With the skill levels between players somewhat flatted by touchscreen controls, the advantage skews in favor of sheer aggression. In PUBG Mobile, attack can be the best form of defense. That doesn’t mean you throw skill out of the window. Firing wildly will waste your shots and alert others to your presence. In regular PUBG you might be afraid to stand your ground and aim. Standing still means you get your head popped off. But on Mobile, most of those shots aren’t being fired at you with any accuracy anyway, so stop and aim and make yours count. Nine times out of ten, it’ll mean you’ll be the one left standing. Aiming is done with the small crosshair icon at the right of the screen, which you can drag around on the screen to aim. 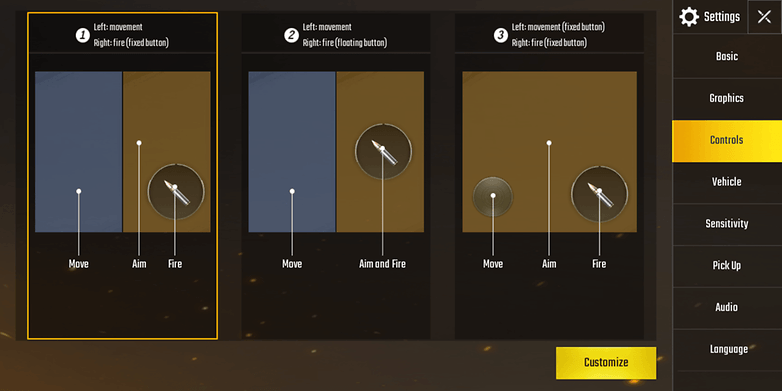 If both aiming and shooting with the right thumb is too awkward, you can go into the settings to enable an extra fire button on the left of the screen. Use whichever is faster for you in the moment. The suckers die just the same. What was that about alerting others to your presence? Oh yeah. In PUBG, your sense of hearing is key. Without distracting background music, you’ll need to rely on your ears to pick up incoming shots and the sound of movement near you. A keen ear can make the difference between life and death, so don’t be tempted to play PUBG Mobile on mute on the subway like other mobile games. In PUBG Mobile, a wise warrior always adjust the settings to make sure you fight on your terms. Sun Tzu said that, probably. The game has several settings in the options menu that often go unnoticed, but a bit of tweaking could score you victory. Is your game running slowly or jankily? Consider setting the graphics settings to low and your FPS settings to high to allow the game to play more smoothly. War is ugly, but winning is beautiful. You’ll also play faster and more effectively if you tweak some options to suit your style and skill level. In the menu you can adjust sensitivity settings, change location of on-screen icons and disable or adjust the auto-loot settings here. As we mentioned, enabling the left fire button can be a real game-changer. One of the most frustrating things in PUBG, Mobile or otherwise, is being caught in a death zone with no fast way to the safe area. You’ll want a fast option, and that often means a car. Once you know where cars are found, keep them in mind for when the walls close in. Some players even prioritize dropping near cars instead of their favorite weapons. If you’re getting repeatedly dropped in PUBG Mobile’s free-for-all, then you might want to consider playing some squad games to hone your skills, especially if you can get friends you already know to join you. Teamwork, especially with more skilled players, is a little less intense and gives you more breathing room to get to grips with the fundamentals. Your ‘friends’ may regret training you up if you ever meet face-to-bullet in a free-for-all. 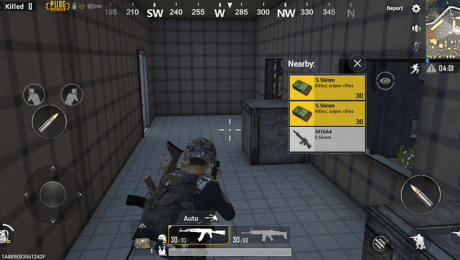 That’s all our tips right now for getting starting and dominating in PUBG Mobile. We’ll be adding more as we keep playing, but if you’ve any to share, feel free to leave them in the comments below! Touchscreen turn-based strategy games are everywhere these days. We’d say they’re ten a penny, but that would be a lie because the majority of them are free-to-play. It can be difficult to know which one to pick, but you shouldn’t have any trouble picking Might & Magic: Elemental Guardians from the crowd. For a start, it’s published by Ubisoft, who have an incredible record of bringing quality franchises to mobile. For another thing, it’s a Might & Magic game, set a hundred years or so before the events of PC hit Might & Magic Heroes VI. Believe it or not, this epic IP has been going strong since 1986. Whether you’re a longtime resident of Ashan or a callow newcomer, you could do with a good grounding in the ways of Elemental Guardians. That’s what we’re here for, so buckle in and get ready to level-up your strategy RPG skills. 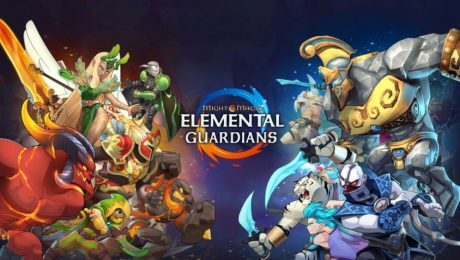 Irrespective of the mode you’re playing, Might & Magic: Elemental Guardians puts you in charge of a squad of elemental creatures and tasks you with putting down your enemies, whether that be in wave-based PvE stages or PvP bouts in the Arena. Each of your creatures in the field has a status bar hovering over their head, with their health indicated in green and their turn counter indicated in blue. Then the blue bar fills up, they can execute a move. There’s also an array of skill buttons in the bottom-right. Holding a finger down on one of these brings up a box explaining what it does, while tapping on a skill button and then on a target unleashes that skill in a gout of deadly violence. Your creatures each have an unlimited basic attack, but all of their remaining skills are on timers. Whenever you use one, you have to wait for a while before you can use it again. Skill icons gradually fill up with colour to let you know how many more turns you have to wait. Or, if seeing colors isn’t your thing, you can tap and hold to get the countdown in writing. As well as skills, your creatures each have an elemental dimension. Arrows hovering over your targets’ heads tell you whether you have an elemental advantage or disadvantage over them. If the arrow is green, your attack will be extra powerful. If the arrow is red, your attack will be extra feeble. And if the arrow is yellow, your attack will inflict the exact average amount of damage. You can also see status effects at a glance above each creature’s health bar. Blue means they’re enjoying a buff. Red means they’re labouring under a debuff. Also, your avatar can pitch in with magical attacks whenever its magic meter fills up — keep an eye on the circular gauge on the left. The beauty of these attacks is that they don’t use up any of your creatures’ turns. Those are the basic building blocks of the combat in Elemental Guardians. Here are some additional tips to help you hit the ground running. You’ll spend most of your time in PvE taking waves of enemies, and in these situations you should always focus your fire on individuals rather than dissipating it across multiple targets. In particular it’s wise to aim for healers, since they’re easy to kill and they regenerate their comrades while alive. There are some battles that aren’t worth seeing through, either because you know you’re going to win or you know you’re going to lose. For these situations, Elemental Guardians gives you a handy Auto button. Tapping the button hands the reins to the AI, and tapping the speed button makes the battle unfold up to three times faster. Naturally, you can seize back control at any time. Elemental Guardians starts you off in each round with a full complement of fully charged skills. You should use them straight away, since this will give you the greatest number of uses overall in the round, and it may even give you an instant edge. Use your noodle, though — certain rounds, like those containing boss battles, may call for a more patient approach. Might & Magic: Elemental Guardians starts you off with a mere Young Griffin, and whatever other random creatures you meet in your early moments with the game. From this modest beginning you’ll create an army of battle-hardened, souped up warriors from the dozens available. Each creature has a rank and a level, which are the two simplest and most obvious indicators of their status. But there are two other ways of determining how they should be used in battle: Role and Element. There are four different roles, broadly speaking. Attackers are good at hurting things, Defenders are good at taking damage and drawing fire, Support creatures are good at healing and providing buffs, and Saboteurs are good at inflicting debuffs on enemies. A creature’s elemental affinity determines how likely they are to win against other creatures with different elemental affinities. It’s a bit like rock-paper-scissors, and it works like this: Fire > Earth > Air > Water > Fire. A strong team not only contains creatures that are high ranking and levelled up, but also a good balance of different elemental affinities and roles. It’s likely that certain creatures will suit your style of play more than others, and you can refine these favourites still further by assigning Glyphs to them to boost particular characteristics. You can also evolve them into more powerful forms. Here are a few tips to help you navigate the game’s complex system of enhancements, upgrades, and attributes. While rank is a fairly powerful indicator of how tough an enemy is likely to be, it’s not everything. A 3-star creature at level 30 is likely to triumph over a 4-star creature at level 10, so make sure you pay attention to all of the information available. This matters most in the Arena, where you’ll meet opponents who seem weak only to discover that they’re as strong as oxen, and twice as unkind. You can have up to three saved teams in Elemental Guardians, so it’s a good idea to have several super-powerful, highly evolved characters so that each of your squads has plenty of depth. Naturally you’ll want to have squads that skew towards certain attributes, such as attacking or healing. It’s easy to overlook speed when choosing creatures to go in your squad, but this can be a hugely important attribute. A creature with a fast recharge may get the extra turn that makes the difference. You should also aim to include a creature that can remove debuffs, and a Defender who can draw fire away from the rest of your team. There are two ways to enjoy the spectacle of Might & Magic: Elemental Guardians’s AR. In the Arena, where you can watch full PvP battles in AR, or in the creature collection list, the Menagerie, which lets you view your creatures out in the real world and take photos. You’ll also need a compatible device, a sufficient quantity of light, and a nice flat surface. Assuming you’ve got all of that, just enter either the Arena or the Menagerie and look for the cube icon in the top-right of the screen and give it a tap. In the Arena, the slider on the left of the screen lets you change the scale of the arena itself. Once you’ve got it how you like it, tap Go to commence the battle, which will play out in the normal way except projected via your screen onto a surface in the real world. You can swing all the way around the action by getting up and moving around, and you can even tilt your device downwards to see a pit of hellish fire. The gameplay is unaffected by this AR overhaul, but it’s certainly a neat and immersive way to view your battles and creatures. Use these tips to your advantage by downloading Might & Magic: Elemental Guardians on Google Play now. Many players are vexed by its freemium model and are looking for ways to get ahead using gems. You can use these to speed up production or get the resources you’re missing when buying a unit or building. Rather than forking over cash for the green gems, check out our Clash of Clans guide for strategies, tips, cheats, and hacks to get you ahead for free. A quick YouTube search nets you the ideal configuration for your base at every level. Supercell, the developer of the game, has a multitude of videos you can choose based on your level. Each contains a guide on how to place your walls and buildings in an ideal configuration to fend off attackers. 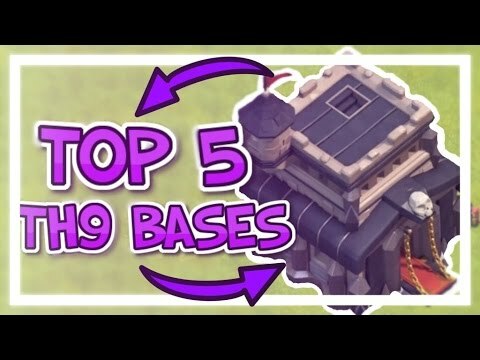 You need a solid defense to avoid losing your gold and elixir. There are also building guides for Clash of Clans‘ Builder Base, the new mode that arrived as part of a massive expansion. In this, units and buildings play slightly differently from the primary base mode. Plus, your two bases do not share resources. Playing this part of the game generates gems you can use to maximize your main base. You also get bonus upgrades to your main base’s buildings like the double cannon. The way the two modes play off each other makes this mode vital to maximizing your gems and resources. Crafting the perfect defense is vital for protecting your resources. However, the perfect attack is just as important. As with crafting your base, Supercell has guides to combining your units in creative ways. These show some more efficient ways to maximize your attack. The videos give you the combination of units and their target levels, and then assist you in playing out the attack. YouTube can get you better results, though. Here you can find guides to the more general tactics of attacking. So regardless of your level, you can attack more efficiently. 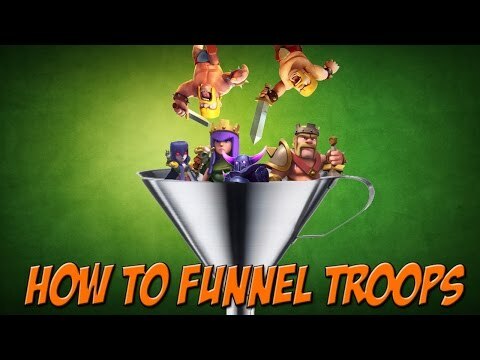 Better troop direction can get you more resource rewards when attacking. It can also get you bigger bonuses in clan wars. Experiment with different Clash of Clans attack strategies, and you’ll progress much faster. Clans are pretty straightforward. Get some friends or other players and attack other groups of players in wars. Clan members donate units to aid in attack and defense, which comes in handy at lower levels. If you are not fighting in Clan Wars, you are missing out on significant resource bonuses. There’s a slightly different strategy at work in wars, thus you’ll find separate guides devoted to layouts for war bases. The critical difference is that war bases do not require you to protect your resources. If you do not have a clan, Supercell recently rolled out a new subreddit. Here, clans recruit new members. Head over there and sign up to find a clan and get more resources. There’s no denying the fun of the multiplayer battles and the war system in Clash of Clans. You could be forgiven for overlooking the single-player mode. It contains 50 stages with three stars, awarded in the same way as multiplayer battles. You earn one star for dealing 50% damage, one for destroying the town hall, and another for destroying the entire base. Not only are there achievements to unlock for getting stars, but it also generates resources. Winning these battles gets gold and elixir, just like raiding another player’s base. 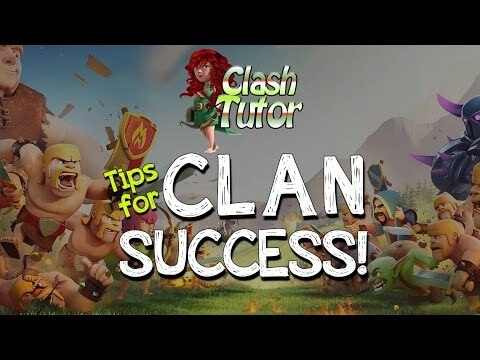 The later levels can also help you perfect your Clash of Clans strategies when battling against harder bases. Logging in every day to clean up your base can seem like a bit of a chore. It takes up one of your builders, and also costs a bit of elixir. However, you should make sure that you are cleaning up junk as soon as it appears. Often, clearing these will get you some free gems. You also find gem boxes and coin boxes as soon as they appear. Clearing them as soon as possible will maximize the possibility of more appearing. The largest pressure to spend gems is when you need an already-busy builder to get an upgrade. Since you start out with only two builders, it’s easy to find yourself with a glut of resources when upgrades take days instead of hours. The builders are relatively costly compared to other units. The third builder is 500 gems, while the fourth is a more painful 1,000 gems. Unlocking the fifth and final costs a seemingly impossible 2,000 gems. This cost is why you want to make sure that you are getting as many gems as possible. Once you have all five, you can build your upgrades much faster than when you were limited to the two default builders. The most accessible source of free gems in Clash of Clans comes via achievements. Some of these occur naturally as you play. You get some for simply upgrading buildings and unlocking units. To get others, you need to do a little work (fortunately, the work you need to put in is playing Clash of Clans). It tracks the number of troops that you donate to Clan Wars, which at the highest level nets you 50 gems. The Builder Base has its own achievements to unlock. Not every event is a winner. Sometimes it becomes just a little cheaper to boost production. Other times, the game discounts a unit and gives it an associated challenge. During events, you can get some easy gems and save elixir on your attacks. You find these by clicking on the bulletin icon on the right side. Then, the events are located at the middle tab. It’s important to pay for games that you like. However, the freemium model is skewed toward forcing your hand to spend money. In those cases, you should do your best to avoid paying for as long as possible.